Whether chicken, turkey, duck or goose – today’s kitchen not only values poultry meat for its versatile flavours, but also because it provides biologically important protein and contains less fat and therefore fewer calories than other meats. This is why poultry has become extremely appreciated by consumers, as can be seen from its ever-growing share in the global meat consumption in recent years. Those who want to convince the increasingly demanding consumer of their poultry products need to satisfy in terms of quality and freshness. Modern packaging solutions assist in protecting these sensitive products, while extending their shelf life. By adding special features, poultry packaging is able to stand out from the crowd, especially in the fast-growing segment of snacks. Marcel Veenstra / Marketing & Communications Manager at Sealpac International. Poultry manufacturers continuously have to adapt to the changing habits of consumers. In modern life, fast and easy-to-prepare meals are in strong demand. Furthermore, out-of-home consumption is constantly increasing, thereby creating a need for snacks and convenience foods. At the same time, consumers are asking for more variety and quality. This is why the industry relies on companies like SEALPAC, leading supplier of tray-sealing and thermoforming technology, to develop functional packaging solutions that allow for an appetizing product presentation. 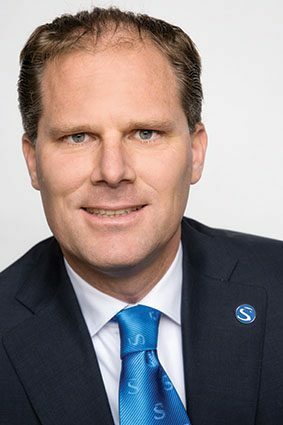 “Modern technologies and materials are able to combine highest product safety with maximum shelf life, and lead to completely new product ideas that enrich the retail shelves”, explains Marcel Veenstra, Marketing & Communications Manager at Sealpac International. Whether classic poultry products, such as chicken breast, turkey leg or whole chicken, or innovative poultry snacks – the SEALPAC portfolio contains some exciting solutions that offer true added value to the poultry segment. hermetically sealed inside the tray with a highly transparent barrier film that fits the contours of the product like a second skin. As the contents in the tray are securely held, the product is closely surrounded by its marinade, allowing it to fully develop its flavour. This leads to excellent aroma and perfectly tender meat. Moreover, there is the option of preparing the meat in an oven outside the grill season. Ovenable skin pack in aluminium tray. TraySkin® allows for no-touch cooking in the traditional oven. When it comes to ready meals, poultry is in demand as well. Here, a special version of the TraySkin® solution was developed. By using ovenable skin film to securely seal the product inside the aluminium or CPET tray, the product can be heated directly inside its packaging in the oven. The result: juicy chicken with excellent taste. The TraySkin® packaging system allows for an extremely hygienic cooking process, as the consumer does not have to touch the raw product. In the meantime, the oven remains completely spotless. Poultry in flexible film vacuum packaging. As the product is closely surrounded by its marinade, it develops optimal aroma and flavour. Multi-compartment tray for chicken chips. Separately sealed compartments preserve the taste of each individual portion. TraySkin® xplus for whole birds. SEALPAC’s special vacuum skin pack for products with high protrusion. Fresh poultry in the shape of whole birds has always been a challenge when it comes to packaging. This is why SEALPAC developed its special TraySkin® xplus system, which allows for vacuum skin packaging of bulky products. These are loaded onto preformed trays and reliably sealed, even if protruding up to 90 mm above the tray edge. The system allows the use of extremely flat trays that provide stability to the protruding product during the entire skin packaging process. The tight-fitting, transparent skin film provides full view of the product. To ensure that the packaging is not damaged due to the shape or sharp parts (e.g. bones) of the bird, skin film in different thicknesses and properties is available to match the application. Well-protected, yet perfectly visible and tangible – this makes products in TraySkin® xplus packaging true eye-catchers on the retail shelves. Not only classic fillets, wings or legs end up in the shopping basket nowadays, poultry has also become a hit among snacks – from breaded chicken nuggets with delicious dips to savoury poultry chips. Within the snacking segment, more and more manufacturers turn to portion-packaging in multi-compartment trays. These packs allow for multiple portions of the same snack or a mix of different snacks with extras. Due to the perforation, each compartment can easily be pulled off from the others without the use of hand tools. Sealing of the tray can be done in different ways: either one seals the individual cavities all together or every compartment separately. This preserves the taste of each individual component, for example nuggets and dip, and prevents cross-contamination. It also provides new opportunities for product mixtures. Fancy a quick snack, but no knife nearby? Anyone who wants to enjoy a snack on the go relies on secure packaging that is easy to open without tools. „To make sure this is no longer a contradiction, SEALPAC put extra thought to the issue of easy opening. EasyPeelPoint became the answer, which has proven to be extremely beneficial to snack packaging. With this revolutionary easy opening method, the peel corner is integrated within the sealing contours of the pack. 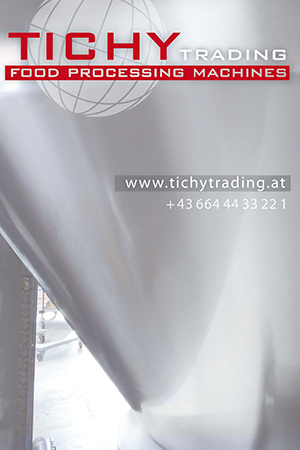 The corner of the top film is pressed into a round cavity and releases from the sealing edge. With the resulting easy-to-grip peel tab, the top film is removed from the pack with minimum force. By using reclosable film, even more convenience is provided. Individual products are easily removed, while the remaining products are freshly held inside their packaging in the refrigerator without loss of quality – a real benefit for small households. When it comes to poultry products in bulk, extended shelf life and optimal product preservation strongly determine the choice of packaging. Quite often, cost-efficient packaging systems are in demand. That is where SEALPAC recommends flexible film vacuum packaging by means of thermoforming technology. This system is perfectly suited for BBQ products in large volumes. As the poultry is completely surrounded by its marinade, it is able to fully develop its flavour and tenderness. Modern film properties allow for even more convenience. Among manufacturers that offer bulk packaging, the so-called ‘cook-in film’, which allows the poultry products to be heated inside their packaging, has become more popular – an ideal solution for catering and food services.